Will Ospreay's reign as Ring of Honor World Television Champion didn't last very long. 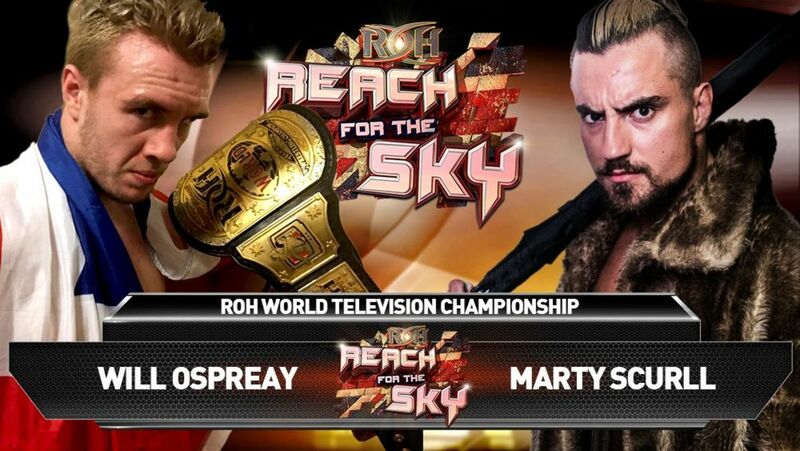 Ospreay dropped the title to Marty Scurll in London on Sunday at the final stop of ROH's three-show tour of the United Kingdom. Ospreay originally defeated Bobby Fish for the title in Liverpool on Friday on the first show of the tour. With Scurll winning the title, Dave Meltzer reports that it now sets up a four-way TV title match at Final Battle in New York on December 2nd with Scurll facing off against Ospreay, Fish, and CMLL star Dragon Lee. After signing exclusive deals with ROH, both Scurll and Ospreay made their debuts for the company in their home country on ROH's tour of the UK. Ospreay defeated Fish for the title in his debut and Scurll picked up a win over Dalton Castle. The two then teamed together against The Young Bucks in Leicester before they faced off for the title on Sunday.